Guys Google is Scared of Bing !!! As the Bing is launched Google started begging by displaying Advertisements on Times of India. 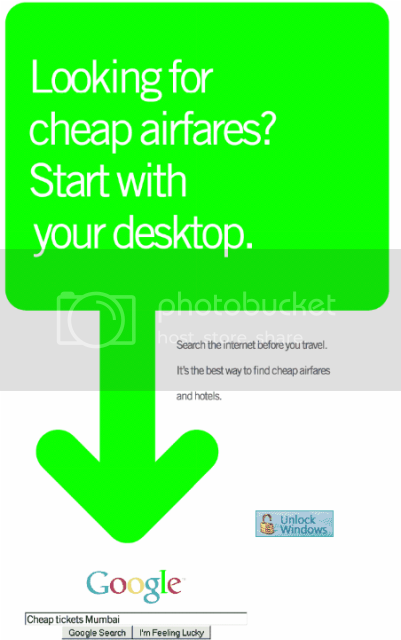 I daily came across of such ads where Google asks users to Google if they want to buy cheap air tickets or cheap fares for travel etc. Here is a screenshot of such an add.